Ok, I will translate one of previous entries in spanish. The PVC or polyvinyl chloride is +30 year polymer product. In all these the process has become much safer (the monomer is a known carcinogenic compound), and their application are broader and broader. Their biggest blow was when it was forbidden to use it to contain potable water. Specifically its production in Venezuela started in 1979, and currently has an installed capacity of 190 MTA (which it expected to double by 2013). The internal demand of PVC in Venezuela is about the 200 MTA, therefore there is little export margin. Although when those new capacity comes online, Venezuela will produce the double of its consumption and approximately an 20% of all the latinamerican market. However, comparing the use of PVC in Venezuela, by CONAPRI figures, 80% of the production is used in piping. Comparing this percentage with other regions, apparently there is a huge margin for development. In fact, the so called "Petrocasas", are a good step. 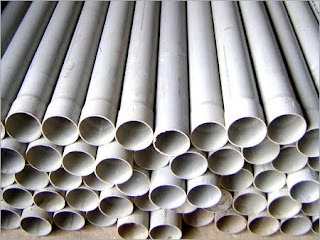 In my opinion, more interest should be focused in producing PVC profiles and packaging.